If you’ve never had hoisin sauce, it’s a Chinese dipping sauce, kind of like a barbecue sauce, made with vinegar, soybeans, sugar, water, red pepper and a few other things. It’s got a gorgeous dark color and a deep, velvety taste. Very delicious. 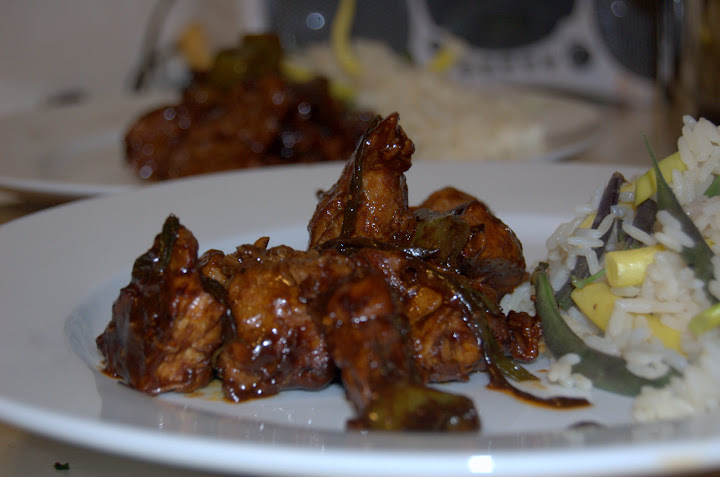 Sprinkle pork with salt and pepper. Heat a bit of olive oil in a large cast-iron pan over medium high heat. Add the pork and fry until browned on all sides. Turn heat down to just below medium and add in the garlic, paprika, chili powder, hoisin sauce and honey. 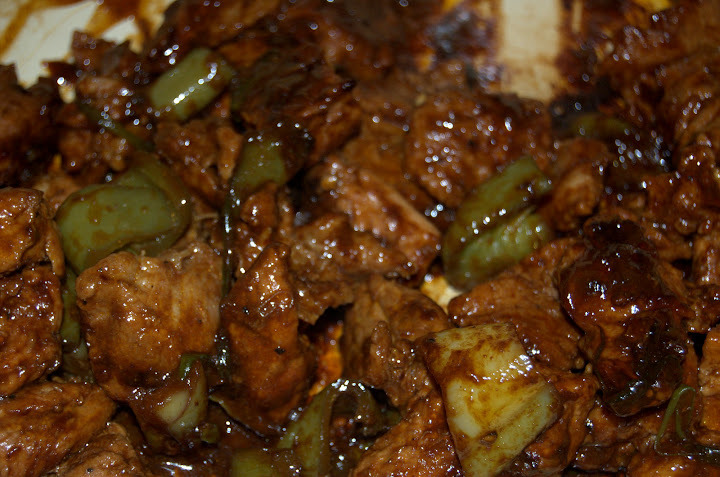 Stir until pork is thoroughly incorporated; cover and let sit for about 15 minutes, stirring occasionally. Add in bell peppers and green onions, stir, making sure to scrape up any bits from the bottom of the pan; cover again and let sit for another 10 minutes, or until pork is soft enough to cut with a fork (that kind of rhymes). 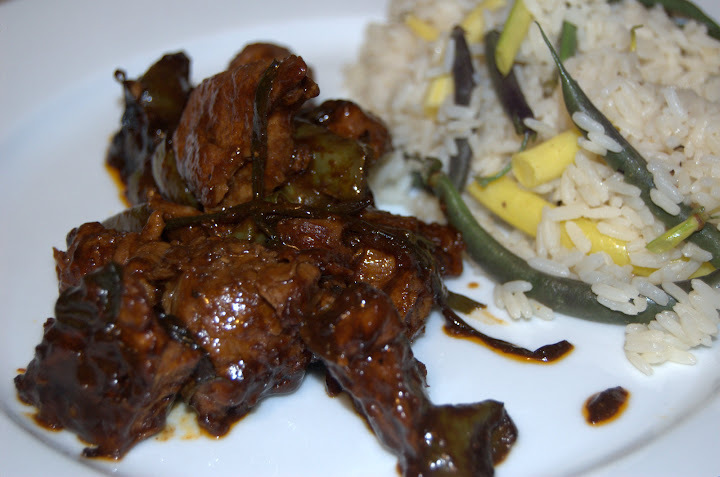 Serve with a good side of steamed rice and peas or broccoli.